Have you ever used probiotics after antibiotic usage? Did you know what strain of probiotics to purchase? This is some of the material I want to cover for you in this article on Probiotic basics. First, I want to dispel a common misconception about the use of probiotics after antibiotic use. The misconception is that the antibiotics kill some of the beneficial bacteria in your gut (this part is true) and that probiotics must re-colonize your gut. Probiotics typically don’t take up residence in your gut. Compared to the tens of trillions of bacteria already rooted in your intestinal tract, most probiotics don’t contain enough new bacteria to make a significant difference in the composition of your microbiota. The question then is how are probiotics helping you? What research indicates is that, as probiotics travel through your colon, interacting with your immune cells, gut cells, dietary nutrients, and existing bacteria the probiotics, directly and indirectly, deliver benefits. Probiotics can trigger neurotransmitters (your intestines make the neurotransmitters) that stimulate moods, hunger and satiety. Yet, other bacteria which come in contact with the probiotics produce byproducts like short-chain fatty acids, which have been extensively shown to be beneficial for weight loss and cardiovascular support. Now you have a better understanding of how the probiotics may be interacting with your internal gut environment. What exactly are these probiotics that are interacting with your gut environment? The official definition of ‘probiotics’ is live microorganisms which, when administered in adequate amounts, confer a health benefit on the host. Live microorganisms mean you are ingesting live bacteria. Where their beneficial work begins to confer a health benefit to you…the host. Next is the term “when administered in adequate amounts”. This is very important, and you’ll generally see quantities listed on a label as a certain billion or trillion CFU. CFU refers to colony-forming units, which basically tells you how many bacteria in the sample are capable of dividing and forming colonies. Each probiotic is associated with an effective dosage, and this dosage is arrived at through clinical study. A bigger number of CFU’s on the label does not always means better results. The best dose, per strain, is the one that has been studied in humans and shown to deliver positive outcomes. A typical probiotic dose for health maintenance may be 10 to 15 billion CFUs daily for adults, with higher dosing if you are addressing a specific health symptom such as diarrhea, for example, you may need to take 50 billion CFUs daily. A final component of the probiotic definition is if their use provides a health benefit. The health benefit being derived is specific to the strain of probiotics you are taking (I will cover strains later in the article). For example, there are strains of probiotics that have been shown to be beneficial for immune support, diarrhea, IBS, Ulcerative Colitis, depression and anxiety, and high cholesterol. Also, to satisfy the definition of proven health benefit, each specific strain must have clinical studies shown to be beneficial for a specific health benefit. All probiotics will have a first, middle, and last name. In fact, all bacteria will follow the same naming nomenclature which is genus, species and strain. Lactobacillus (genus) rhamnosus (species) GG (strain) has been shown to reduce the occurrence of antibiotic-associated diarrhea. Saccharomyces (genus) boulardii (species) CNCM I-745 (strain) helps to prevent C.diff infections. Lactobacillus (genus) reuteri (species) NCIMB 30242 (strain), may lower cholesterol (modestly). Lactobacillus (genus) reuteri (species) RC-14 (strain) can help with vaginosis. All three parts of the name are important to help you select the probiotic. Sometimes the manufacture will abbreviate the name on the ingredient list. However, there are problems you want to be careful about when you are selecting a probiotic. Take a look at the last two examples I provided and note they are both the same genus and species. The only difference is the strains and each strain confer benefit to different conditions. Many genus/species will have many different strains, all with different benefits. Knowing the correct strain is fundamental to making a correct selection for your health benefit. One complication is here in the US, the FDA does not require probiotic manufacturers to disclose the strains they use. 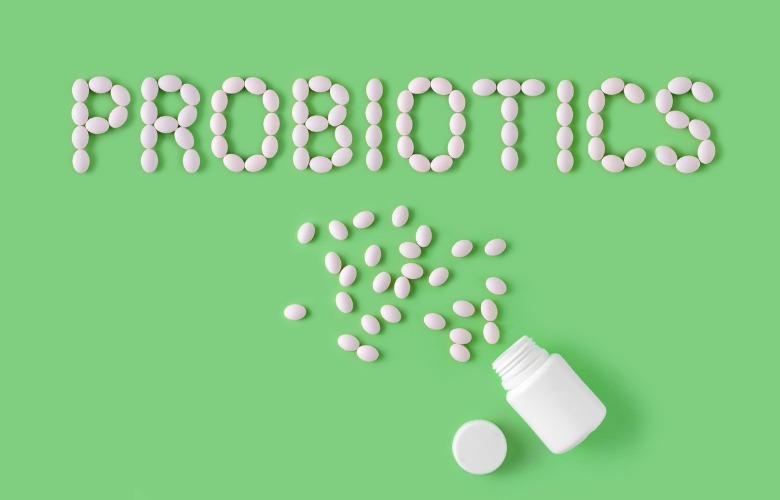 Probiotics are considered supplements and are generally much more loosely regulated by the FDA compared to food or drugs. As such, the term ‘probiotic’ is being used extensively for marketing purposes, which ignores the science. However, many reputable probiotic manufacturers now routinely list the strains on their ingredient list. If you are considering using probiotics to help with a particular health problem, you should look only for the specific strains that have been successfully tested for that condition. The question then is how do you find that information? Let’s see if we have enough information to now sort this question out. Maybe you have been taking antibiotics and you now have diarrhea from the antibiotic usage. Your thoughts are, ok I will take some probiotics to help with that, so you go online and of course you find a bunch of probiotics for that condition. The first thing you notice is a number of the brands don’t give you any strain identification and you immediately discard them from consideration as without the strain you have no idea what health condition is being affected. Eventually you do finds brands that identify the strains within the probiotic product, and you locate one for antibiotic associated diarrhea. If there is any confusion you can always google the genus species and strain to get confirmation that the strain is supportive of that condition. Finally, it is not unusual to find multiple strains within a probiotic formulation. For example, one strain for the diarrhea, and several strains for immune support. When using probiotic supplements, follow the instructions provided by the manufacturer or your physician. Typically, probiotic supplements should be taken on an empty stomach about 30 minutes before a meal. However, your doctor may recommend a different approach. The presence of food in the stomach prompts the production of stomach acids and other fluids that can kill the beneficial bacteria, therefore you can maximize the benefit of your probiotics when your stomach is empty. It is also recommended you take probiotics with purified water, since chlorine and other chemicals in public water sources can kill beneficial microorganisms. In the majority of cases, use of probiotics supplements is not associated with side effects. However, some people may experience mild cases of diarrhea, gas, bloating, or upset stomach when you first start taking them. In rare cases, individuals experience allergic reactions, in which case you should stop the supplements and contact your physician. When I was growing up, (my mother was a nurse) we usually thought of all bacteria as bad; microscopic organisms that cause disease and symptoms and therefore should be avoided. Kitchen and counters were cleaned and sprayed with disinfectants and hands washed before each meal. Times have changed as experts have uncovered the worlds of beneficial and harmful (bad) bacteria, intestinal flora, and the impact they have on our overall health. This discussion on probiotics is the tip of an emerging new science that has profound implications for our health and longevity. In the early 19th century with the emergence of antibiotics science took a position that pathogenic bacteria where to be eradicated and that the bacteria that inhabit our body are of minimal importance to our health and wellbeing. Even today in Medicine you find that position entrenched with you being referred to a cardiologist for heart condition, or a neurologist or a gastroenterologist. Specialization has become the standard and nowhere is the bacteria (other than your gastroenterologist saying you have a bacteria overgrowth and prescribing antibiotics) which is a fundamental substrate of our life represented and examined in this specialization. Your bodies microbiome goes way beyond digestive issues. Your body is complex and interconnected, and the gastrointestinal system sits at the core of it all. 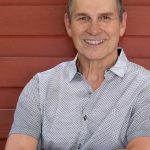 It’s connected to and influences everything from immunity and metabolic function to cardiovascular, skin, mental health and urogenital health. So, while using probiotics for improvements in gut health are often the most immediate. An understanding of how your microbiome can have powerful effects across your entire body is the vision for the new era in medicine. As our mindset shifts from sick care and medical segmentation to self-care, we’ve become more intentional about our diet, nutrition, exercise, and lifestyle. But we now also know that beneficial microbes offer new tools to preventively and proactively care for our whole selves. Our intestines and their intestinal flora have been referred to as our second brain. That’s because the bacteria—good and bad—in our gut are constantly exchanging messages with the body’s cells and directly with the brain. Brain this is your gut calling…we need chocolate today! Therefore, bacteria are involved with our health in all areas of the body. For example, bacteria play a significant role in immune system functioning, digestion, and the production of new molecules such as enzymes and vitamins. Now that you know about your microbiome and the community of bacteria you are supporting, here are some other ways you can use probiotics to support critical functions in your body. Help restore levels of beneficial bacteria in the intestinal tract after use of antimicrobials including antibiotics, as well as antivirals and antimycotics. Help in the management of certain health issues such as diarrhea, irritable bowel syndrome, inflammatory bowel disease, and colitis. Probiotics can be helpful in relieving various types of diarrhea, including antibiotic-associated diarrhea, infectious diarrhea, travelers’ diarrhea, and that of other causes. Diabetes: Probiotics may help with blood glucose management and insulin sensitivity in people with type 2 diabetes. Heart health: Research shows that probiotics may lower your levels of bad (LDL) cholesterol and total cholesterol as well as blood pressure. Mental health: Both animal and human studies have shown that use of probiotic supplements can assist in managing various mental health disorders, such as anxiety, autism, depression, memory, and obsessive-compulsive disorder. Good luck in taking care of your microbiome community! Remember it is not separate from you, it is essentially part of you and to the extent that you take care of your microbiome, it can result in you having a long healthy life. 1. CDC. “HAI Data”. 25 October 2018. Web. 2. Wikepdia. 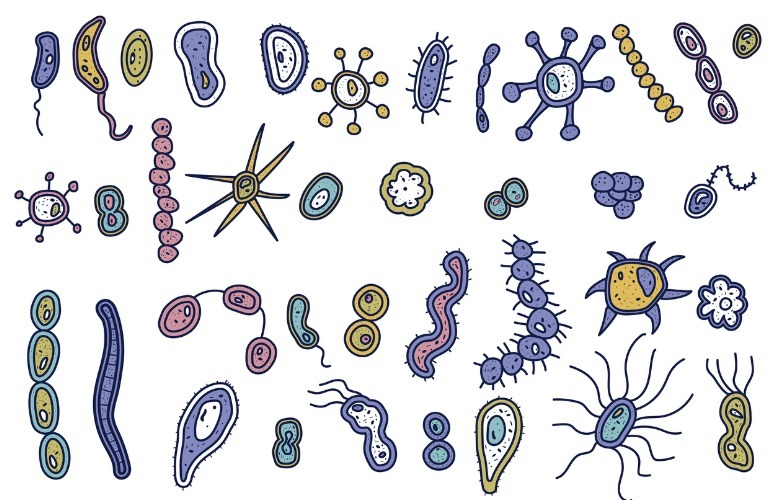 “Microbiota”. Retrieved Feb 2018. Web.